Receive notifications for email opens, page views and video views. Here are the Steps to install. 1. 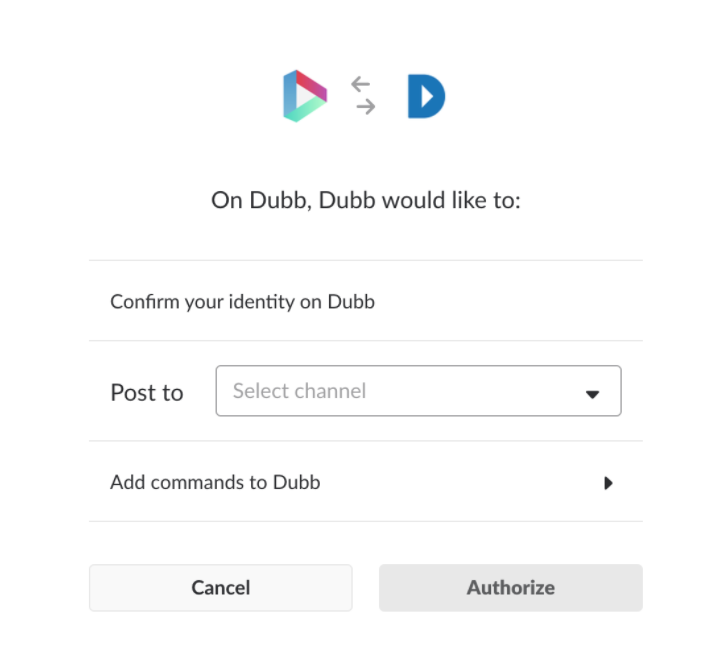 Add Slack integration from your /home or integrations page. 2. 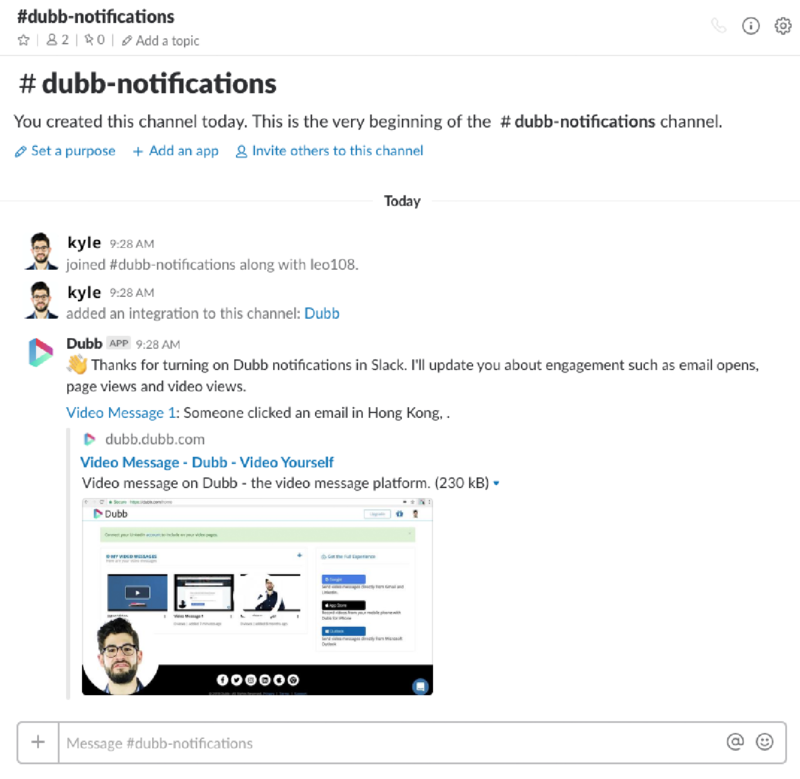 Allow access and specify a destination channel on Slack. 3. 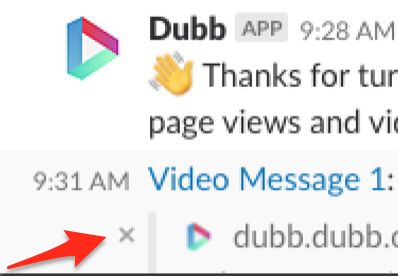 View your notifications - Once you integrate Dubb to your Slack account you will be able to view activity for all of your videos directly in Slack. If you want to turn off thumbnail images for your notification click the X to the left of an image and then specify that all future images not be displayed.